Ancylobotrys capensis is a good choice for difficult rocky patches in a highveld garden.Flowers are large and sweetly scented. Asclepias stellifera is a sparsely branched shrublet sprouting from a woody rootstock. 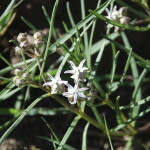 Flowers are in groups on long inflorescence stalks. Plant on a rockery. The beautiful glossy leaves of Asparagus asparagoides make this climber a very attractive addition to the garden. True to its name this attractive, structural climber closely resembles a young Outeniqua yellowood with its dark green, glossy foliage. 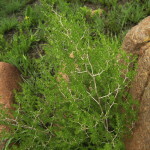 Asparagus laricinus is a scrambling shrub that has fine, feathery foliage and silvery branchlets. 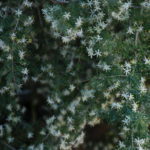 It has a myriad of tiny white, fragrant flowers in Spring. 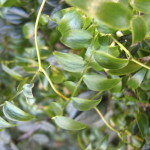 The lovely light green leaves resemble that of a fern and has a delicate appearance. 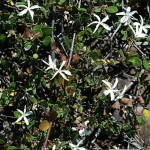 The small white flowers are followed by red berries that are relished by birds. 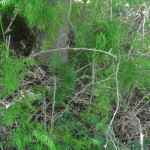 Asparagus setaceus is a sprawling climber and is evergreen. 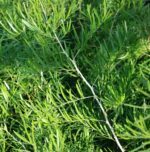 The new stems are soft, feathery and without thorns. It is ideal to cover an embankment or to cover a fence where privacy is required. 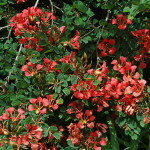 Bauhinia galpinii is a rambling shrub or climber with beautiful terracotta colour flowers from summer to late autumn. 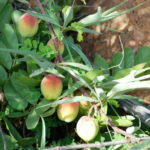 It has attractive bi-lobed leaves that look like butterfly wings. It does well on a slope or cascading over a wall. Protect from severe frost. 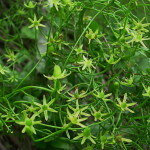 Hardy, deciduous, bulbous plant that climbs by means of its much-branched inflorescence, which sends out brilliant green tendrils in spring with pretty greenish-white flowers on the tips.